So, people want to live forever, and gods aren’t going to help them do it. That sounds like a job for science! Indeed, many laboratories are researching ways to extend lifespan. I don’t think any bioscientists imagine their efforts will ever result in immortality — that’s more a computer science aim than a bioscience one at the moment; here’s a reasonable introductory review into the study of human connectomes — but it seems pretty clear that they’re hoping their work can aid human longevity. Which I get, obviously, despite my penchant for Malthusian pessimism (“Assuming then my postulata as granted, I say, that the power of population is indefinitely greater than the power in the earth to produce subsistence for man. Population, when unchecked, increases in a geometrical ratio. Subsistence increases only in an arithmetical ratio. A slight acquaintance with numbers will shew the immensity of the first power in comparison with the second.” – Thomas Malthus, a legendary curmudgeon). Like there’s my graduate school baymate (the way our labs were set up was pairs of desks tucked into long alcoves of bench space, so there always wound up being one person who you talked to and collaborated with most), who planned to study lobsters after getting his doctorate: lobsters have limited senescence. That is, they show fewer signs of aging than humans do; if we were more like lobsters, perhaps nursing homes would be rowdier places. Of course, they’d needed to widen the hallways, reinforce the floors, etc., but I’m sure that’d seem like a fair trade for a little bit more vivacity. Currently my buddy isn’t actually working on lobsters – he’s pursuing research more likely to help people in the near term – but someday maybe he’ll get back to it. 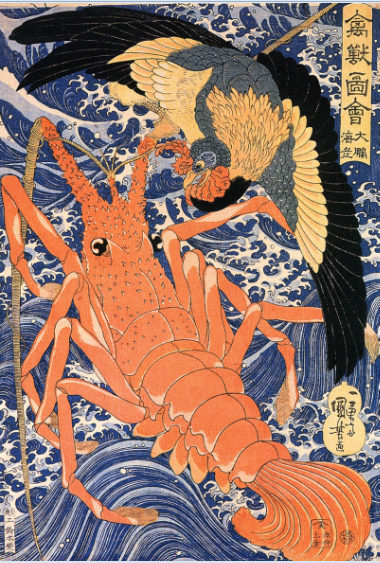 But the research into lobsters is focused on figuring out why they live a long time. And there are similar studies focused on the secrets of other long-lived creatures; the most recent one I caught was a paper on whales. The authors analyzed the bowhead whale genome and found that there might be extra copies of some DNA repair enzymes, and less of certain metabolic proteins (like a premature stop codon in a protein named UCP1 that generates heat). About what you might expect: if you want to live a long time, DNA repair is good, metabolism is bad. And it’s interesting, sure, but, again, unlikely to extend lifespan in the near future. Good-lookin’ droids, but not the droids Ravana was looking for… anything that comes from that work will help other people a long time from now. And that’s no good. Honestly, interrogate any Malthusian and eventually they’ll tell you: the problem with longevity is that everyone else might attain it too. If there were an a magic plant to provide immortality to just me, right here and now, then that’d be fine. Unless a serpent happened by and stole it. Then I’d probably be sad and start to weep. But in the meantime, we’ve got some strategies for life extension to discuss! Things that you could try today. Like perfusion with hydrogen sulfide. That’s right – inhale a horrible toxin in order to live! The first study using hydrogen sulfide to lower metabolic rate was done in Mark Roth’s lab: they were gorking mice with it, the idea being that a low metabolic rate, low oxygen consumption, etc., might make you more likely to survive massive blood loss or nasty surgery without physiological damage ... if you’re not in a suspended animation-like state and you experience hypoxia, bad things happen to your brain. Figure 2A, Miller and Roth (2007). Or course, that’s all for acute episodes dosed with hydrogen sulfide. 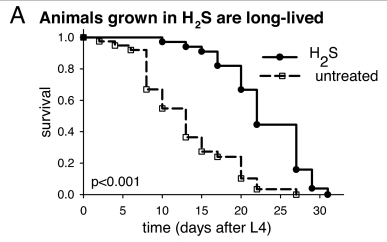 The Roth lab also did a study where they raised worms with or without 50 parts per million hydrogen sulfide in the atmosphere, and the worms with hydrogen sulfide lived longer (see Figure 2A for a nifty graph). The next strategy is to supplement your diet with glucosamine. This is an inhibitor of glycolysis: roughly speaking, the process by which your cells turn food into energy. 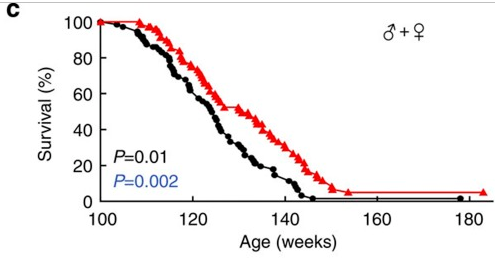 Work done in Michael Ristow’s lab showed that when mice were fed glucosamine every day for the bulk of their lives, they lived a little longer (see Figure 3C for the nifty graph). And they presented significance testing for whether or not lifespan was increased… but didn’t mention a percentage for how much longer the mice lived. Glancing at it, I’d say not much. But some! A little bit more time! Figure 3C, Weimer et al. (2014). Or there’s caloric restriction. Caloric restriction is something that’d be more reasonable for you to try at home than the whole huffing hydrogen sulfide thing, although I still wouldn’t recommend it. Even though there’ve been very promising results in a variety of species… even in humans, so if you happened to decide today that this is something you’d want to do, the evidence is on your side. Massively reduce the amount you eat and you might live longer. Or not. Caloric restriction also sounds a lot like anorexia, which causes horrible health problems. Good job, photoshop! And it’s apparently tricky to balance caloric restriction to be exactly right to promote lifespan without succumbing to all those anorexia-related health problems. But in summary, it seems to be metabolism that kills you. Oxygen eventually destroys cells. And mitosis, which has to occur to replace your cells, involves doubling your DNA, which can never be 100% error-free. So once you live enough, you’ll die. The current strategies used to extend life – hydrogen sulfide, glucosamine, caloric restriction – seem primarily to slow metabolism. So I don’t really think you’d be getting much more life. You would persist in the world for more time, but would you be having more fun? Would the integral of your fun vs. time graph over your entire lifespan even match that of someone living faster and less healthily? I mean, I know my answer. Not that I’m particularly unhealthy, but I volunteer as an assistant coach for the high school long distance runners, which means I go out and run with them a couple times a week, which means my metabolism works pretty hard. I’m using up my heartbeats young; I won’t live forever. But I still like doing it; I like running and I like running with them, talking with kids on the team, trying to make their time in high school a little less horrible than mine was. At this time the word “slope” was charged with special meaning. Slope was a measure of a man’s rise through the phyle; it traced the shape of his past, foretold the time of his passing. 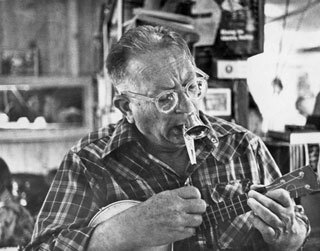 By the strictest definition, slope was the angle of a man’s life line, the derivative of his achievements with respect to his age. The Fair-Play Act carefully defined the conditions of advance. A child was born without phyle identification. At any time after the age of sixteen he might register in the Brood, thus submitting to the provisions of the Fair-Play Act. If he chose not to register, he suffered no penalty and lived a natural life without benefit of the Grand-Union treatments, to an average age of 82. These persons were the “glarks,” and commanded only small social status. The Fair-Play Act established the life span of the Brood equal to the average life span of a non-participator–roughly 82 years. Attaining Wedge, a man underwent the Grand-Union process halting bodily degeneration, and was allowed an added ten years of life. Reaching Third, he won sixteen more years; Verge, another twenty years. Breaking through into Amaranth brought the ultimate reward. To apply this formula to the record of each individual, an enormous calculating machine called the Actuarian was constructed. Besides calculating and recording, the Actuarian printed individual life charts on demand, revealing to the applicant the slope of his lifeline, its proximity either to the horizontal boundary of the next phyle, or the vertical terminator. If the lifeline crossed the terminator, the Emigration Officer and his assassins carried out the grim duties required of them by the Act. 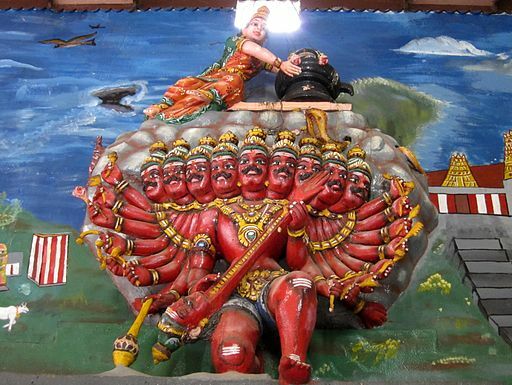 It was ruthless, but it was orderly–and starkly necessary. The system was not without its shortcomings. Creative thinkers tended to work in proved fields, to shun areas which might prove barren of career-points. The arts became dominated by academic standards; nonconformity, fantasy and nonsense were produced only by the glarks–also much that was macabre and morose. So, as soon as humans learned how to live forever — Jack Vance postulates an uploading methodology similar to the connectome-based schemes I linked to earlier — there had to be a way of determining which humans would live. And it’s at that point that many of the most promising candidates would resort to conservative behavior; better to inch toward success than swing with all your might and maybe miss. Better to propose a project that you know will yield something than to throw all your effort into a grand scheme and maybe come up with nothing. No publication, no grants, no tenure.